It’s not only the world’s most iconic brands who are using Instagram to boost their bottom line. Artists, designers and even bars and restaurants are displaying what makes them unique to hit their targets, whether that’s showcasing a portfolio of work or converting interest into sales. Increasingly, Instagram is the go-to platform for mobilising followers to take a specific action at the drop of a hat. Cultivating a strong Instagram following is a great way to build an audience or a customer base. At Bad Seed Creative, we’re having significant success working with multi-national brands and SME’s to help them connect with their audience through strong visual content. 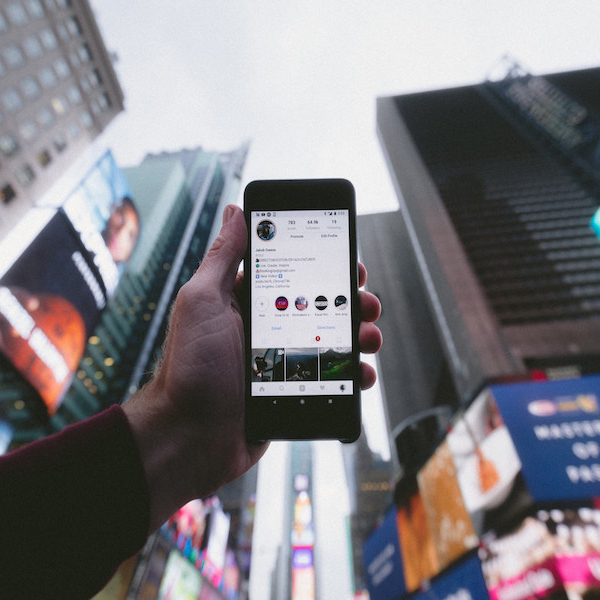 Below, we look at the six Instagram tools you should consider using to help you generate an engaged audience on one of the most important social media platforms for brands. If Instagram is central to your marketing strategy, Owlmetrics is a must. Rated the number one Instagram tool by Forbes, Owlmetrics enables you to track multiple metrics to understand your audience better. Behavioural patterns, preferences, gender, language and location are all gathered in real time to allow marketers to better inform their Instagram strategy. Impressively, the tool also tracks data points and analyses trends (including hashtags) on Instagram. If you want to be part of a trending topic, Owlmetrics is your window to making the most informed creative decisions. Their easy-to-use calendar heatmaps allow for easy interpretation of large volumes of data. Unsplash’s purpose is simple: they provide beautiful, free photographs. Gifted by a generous community photographs, Unsplash allows you to project an image for your business with photos of a very high quality. The app (and website) is incredibly simple to use. Want a high-definition of, say, a cup of coffee being poured? Just search for ‘coffee’ and you’ll be given hundreds of options to choose from. If you own a coffee shop, this allows you to get on with the day-today running of your business without having to organise expensive photo shoots, but it’s also applicable to any kind of business. Unsplash is must for any company taking their image seriously. The easy-to-use desktop version of Unsplash’s platform is a dream to use. VSCO markets itself as a ‘creator’s community’ and, in the world of Instagram, it makes for a great jumping off point. There is no doubt Instagram is a highly visual platform but that is making it increasingly difficult for marketers working with minimal budget to create content that stands out in a crowded marketplace. VSCO’s USP is the access it gives users to a truly engaged community of artists, a community you’re able to lean on for everything from photo-editing to journal tools. Their platform is for those looking to fulfil their creative potential. This creator-first philosophy provides photographers with tools but, just as importantly, education, community and connections that can move your move into directions you wouldn’t have realised. Whether you’re a business owner managing your own company’s social media output or a professional handling numerous accounts, scheduling is fundamental. For many looking to schedule (‘set and forget’) Hootsuite ticks all the right boxes. For Instagram, Hootsuite is distinctly lacking. Many Instagram scheduling tools require confirmation before posting live which goes slightly against the idea of scheduling in the first place. Grum, on the other hand, solves this problem. There is no in-depth analytics feature or trend analysis here but they make scheduling on Instagram – something many tools struggle with – very easy. And, as anyone in social media will tell you, that’s something you need. SocialDrift is a handy tool designed to increase your number of Instagram followers by using algorithms to engage with other Instagram users through automated likes, comments and follows. You simply set specific parameters related to account location, name or hashtag use and it does the rest. What separates SocialDrift from other similar services is its machine-learning platform quickly determines the best time to engage with targeted accounts. There's no point liking someone's post at 3am when they're sleeping, is there? SocialDrift's dashboard is also particularly helpful, allowing you to track automated engagement, new followers acquired and interaction-to-follow conversions. If you're creating social media images without professional designers to call upon then Canva is a free tool that you should have in your arsenal. It pitches itself somewhere between Microsoft Paint and Adobe Photoshop and makes graphic design incredibly simple. If you're targeting the very high-end of the market then this is unlikely to be the tool for you, but for SME's it offers templates, tutorials, infographics, presentations and lots more at the click of a button. The drag and drop feature and layouts make for simple, engaging and shareable content without the need for you to bring in a professional. Canva now also enables users to create impressive video content in seconds. A very handy Instagram tool. Like this article? Follow Bad Seed Creative on LinkedIn, Facebook, Twitter and Instagram for more of the same.